Nutritional Genomics is a complex and necessary part of our work in nutrition. RDs can no longer choose to exclude this knowledge if they want to practice effective integrative and functional nutrition. This presentation is an overview of what nutrigenomics entails and provides several common examples of how unique genes affect nutritional needs and how specific nutrients modulate genetic expression. The nutrigenetic testing landscape will also be discussed, and attendees will leave with a more thorough understanding of potential clinical implementations. Dr. Sheila Dean, DSc, RD, LD, CCN, IFMCP, is a registered and licensed dietitian nutritionist and board certified integrative and functional medicine practitioner. She was the owner of Palm Harbor Center for Health & Healing, an integrative and functional medicine based private practice and wellness center in Palm Harbor, Florida for 17 years. 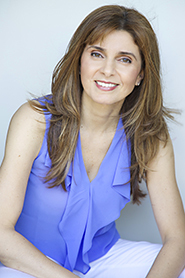 A published author, national speaker and media spokesperson, Dr. Dean has taught nutrition science for over 20 years as adjunct professor at the University of Tampa, University of South Florida Morsani School of Medicine, Maryland University of Integrative Health, Schiller International University, Saybrook University and Saint Petersburg College. She is also the co-founder of IFNA™, the Integrative and Functional Nutrition Academy, (www.IFNAcademy.com) a comprehensive online training and mentoring program designed to teach health care practitioners how to seek the true root causes of disease to restore optimal health and function and ultimately transform the practice of nutrition using the most effective integrative and functional nutrition diagnostic tools and treatment protocols for preventing and reversing chronic illness. Dr. Sheila Dean, DSc, RD, LD, CCN, IFMCP, reports the following relevant disclosure: she is co-founder of IFNA™, the Integrative and Functional Nutrition Academy. She has certified that no conflict of interest exists for this program. View our disclosure policy.